The seaside town of Torquay on Devon's English Riviera coast is a busy, family-friendly town with plenty to offer. Though it has suffered from a 'resort town' reputation in the past, a recent revival has made it a hot spot for camping holidays and seaside escapes. The Guardian recently described it as one of "Britain's most booming seaside towns, undergoing a style revival" and, today, the swanky, Michelin-starred restaurants and the yachts in the harbour speak for themselves. Inland, the place is surrounded by camping and glamping options, though only the best make the cut for a Cool Camping recommendation. 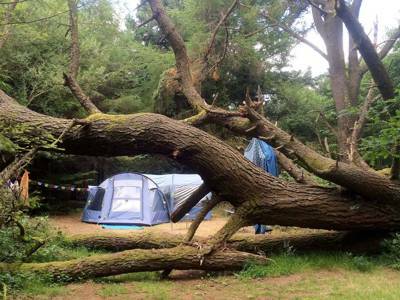 Camping and glamping in Torquay puts you at the heart of the action on the English Riviera. Along with Paignton and Brixham, it’s one of three bustling resorts on Tor Bay, with amazing sea views, beautiful beaches and a famed microclimate that’s been attracting holidaymakers for decades. 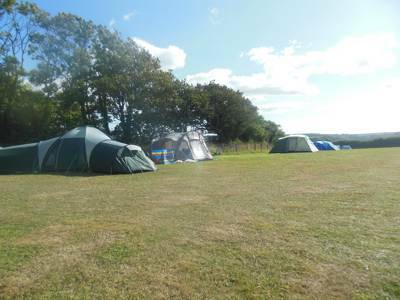 It’s no wonder then that there are plenty of campsites in and around Torquay but it’s only the cream of the crop that get the thumbs up from the Cool Camping travel experts. 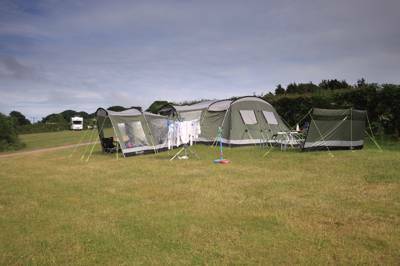 We look for camping and glamping sites which are usually small and stylish, steering well clear of larger-scale holiday parks and caravan sites that are often found in seaside locations. 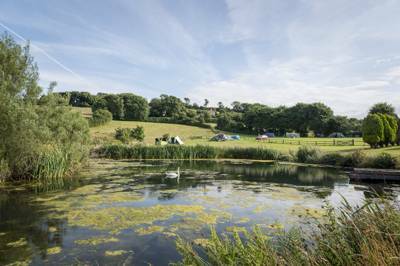 We’ve found classic campsites and glamping sites with bell tents, yurts, cabins, camping pods and quirkier options in the Torquay area. 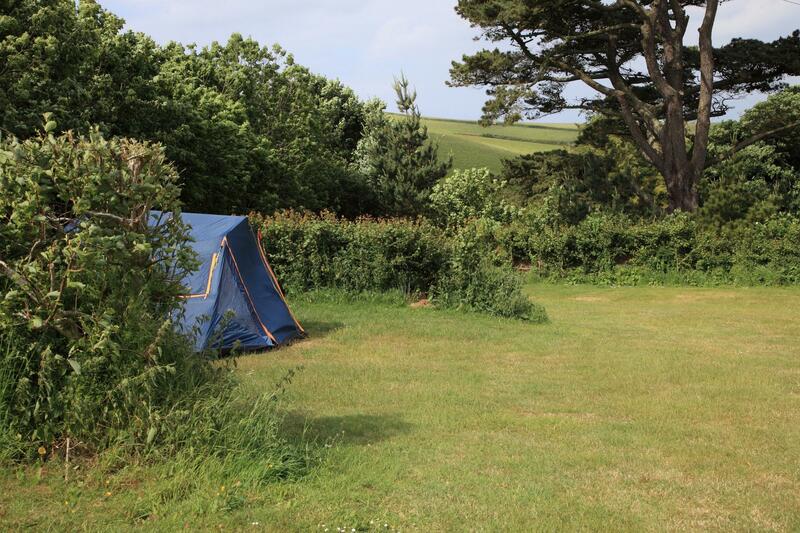 Some of our camping and glamping sites may be a little more tucked away but that’s all part of their charm with each still offering easy access to the many sights and attractions of Torquay and the surrounding area. It’s the seaside that’s been bringing holidaymakers to Torquay and the English Riviera for centuries and that’s where you’ll find much of the action. Buy a bucket and spade and head for the beach, try your luck at the amusements, play crazy golf or ride the English Riviera Wheel – Torquay’s answer to the London Eye. At Brixham you can watch the fishing boats land their catch and all along the coast you can sample the Devon crab that the area is famous for. You can have a go at crabbing from the quay, jump aboard a local ferry to head from town to town or head out to sea on a kayaking or paddleboarding trip. Torquay’s most-famous daughter, Agatha Christie, is celebrated at the Torquay Museum and on a literary trail of the area. Her former holiday home, Greenway House, near Brixham is open to the public too. 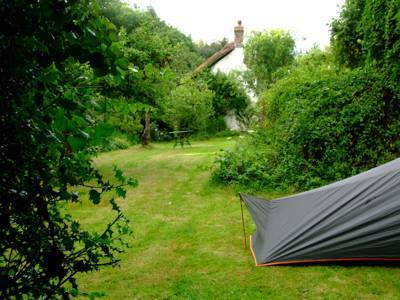 If you’re on a family camping holiday in Torquay, there are plenty of attractions with an appeal for all ages from Kents Cavern Stone Age caves to Paignton Zoo and Babbacombe Model Village, with the Dartmouth Steam Railway offering a scenic way to get around. To enjoy the natural highlights of the area, you can stride out on the South West Coast Path and perhaps visit Berry Head National Nature Reserve, south of Brixham, for wildlife and fantastic sea views. Babbacombe Oddicombe Tore Abbey Sands Torquay campsites Torbay camping campsite campervan caravan tent holiday at Torquay Camping, Known for its trio of popular beaches – Babbacombe, Oddicombe and Tore Abbey Sands – the seaside town of Torquay on Devon's English Riviera coast is a busy, family-friendly town surrounded by camping and glamping options. Only the best campsites make the cut for a Cool Camping recommendation though.